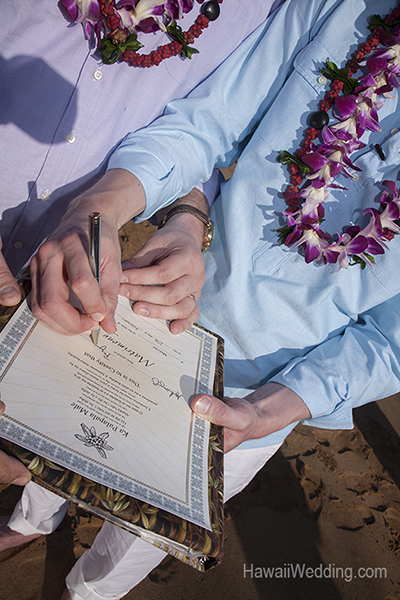 You must have a valid marriage license to be married in Hawaii. 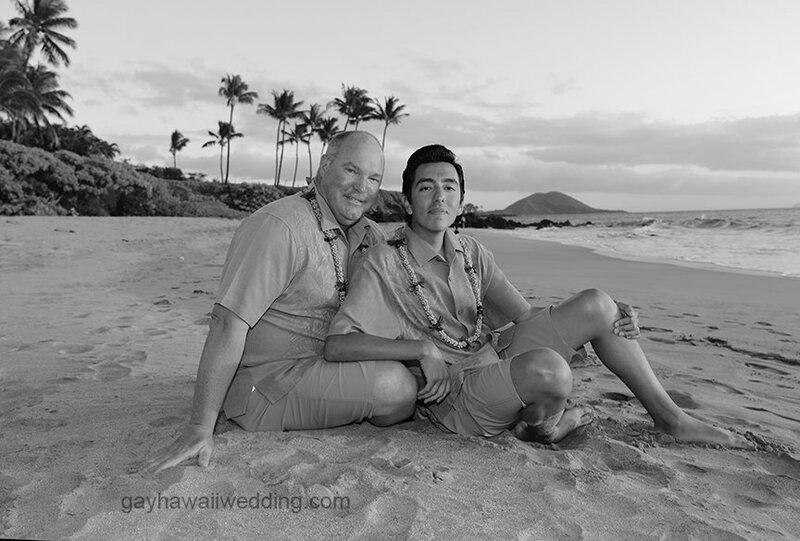 There is a $70 00 state fee paid directly to the agent or you can now pay the State of Hawaii on-line for he marriage application. Once the marriage license paperwork is issued by the agent a marriage performer (minister of non-religious officiant) must perform the ceremony and submit the documents to the State to make the marriage legally binding. The license paperwork is good for thirty days after being issued by the marriage license agent and the wedding ceremony must take place within those 30 days. 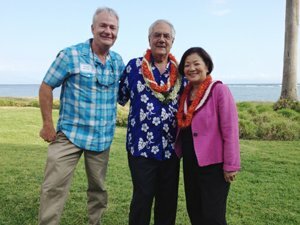 Marriage licenses must be obtained here in Hawaii and it necessary to appear in person before the marriage license agent in order to obtain that license; even if you have applied on line. 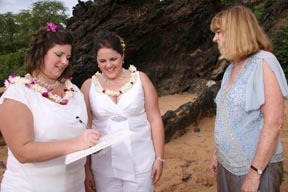 GayHawaiiWedding.com will schedule the license appointment for you, typically one or two days before the wedding date. 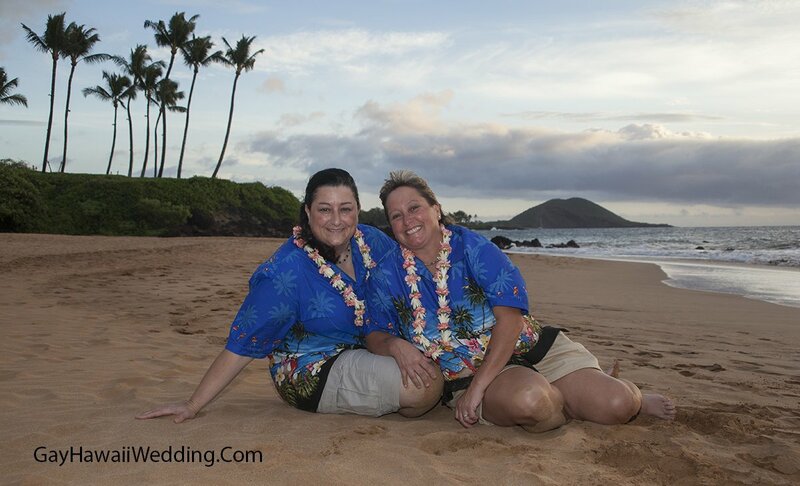 We schedule the appointment with the marriage license agent located closest to the hotel where you will be staying. Both partners must be at least 19 years of age or have written parental or legal guardian permission. There is no residency requirement, no waiting periodand no blood tests or shots required. A valid picture ID is all that is required for U.S citizens and non-U.S citizens. (State issued Driver’s License or Passport) Foreigners can be married in Hawaii with a passport or Visa. If a divorce was finalized for either partner within the last three months, please bring the final decree. 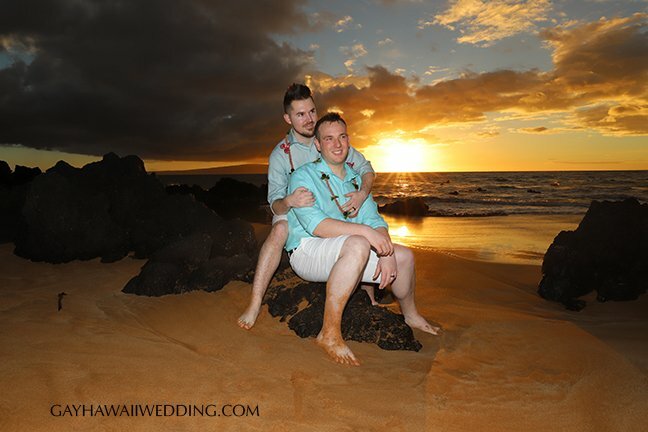 The certified copy of the Hawaii wedding marriage certificate is mailed to the married couple approximately 120 days after receipt from the officiant. If the certified copy is needed sooner, the marriage license agent will provide a request form, which can be mailed to the Vital Records Section along with a $10 fee charged by the Department of Health for this service.